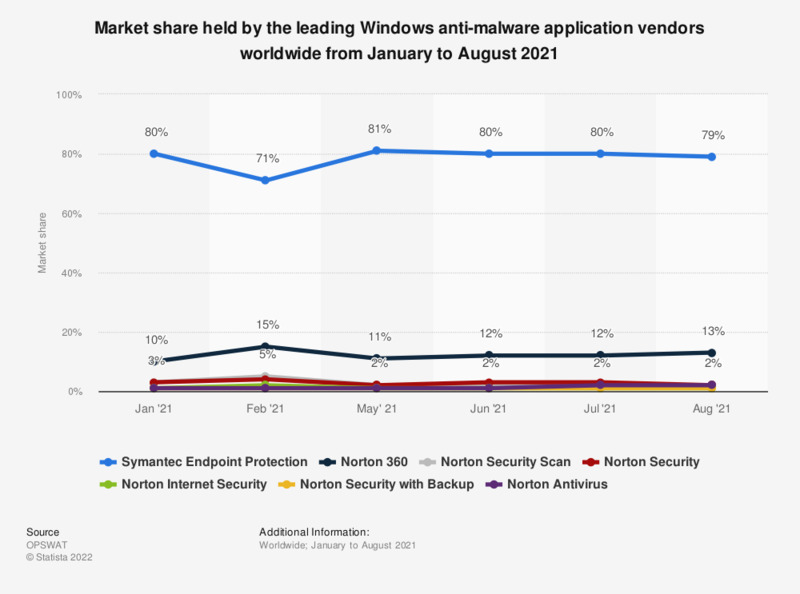 This statistic shows the market share held by anti-malware vendors that offer applications designed for Windows as of January 2019. At that time, Avast held 15.12 percent of the anti-malware application market. Malware - or malicious software - is software designed to interfere with the regular operation of computer or mobiles without the users consent. This interference may include the destruction or gathering of data, unwanted advertising, or making a device vulnerable to undesired external control. Trojans and worms are the most common methods of malware infection to compromise computers worldwide, while China, Taiwan and Turkey are the countries with the highest rate of malware-infected computers. Sweden, Norway, and Japan are among the countries with the lowest rates of malware infection.